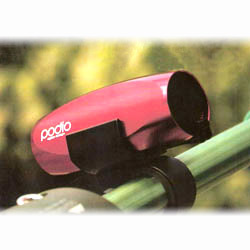 We Always Offer Customers Up to Date Bicycle, Bicycle Parts, and Accessories. 1. Speaker output: THD+N=0.15% @1.5W SNR=94db @1.5W. 2. Earphone output: THD+N=0.6% @32£[ SNR=92 db @32£..
3. Playing time: speaker: 9 hours (depend on the playing volume) Earphone: 60 hours. 4. Charging time: USB by 6 hours USB(5V/1A) AC commercial adaptor: 3 hours. 6. Interface: USB2.0 full speed. 7. File system: FAT 16/FAT 32. 8. Music format: MP3 / WMA (Below 384Kbps). 1. Temperature: function within -10¢J~50¢J. 2. Size / dimension: 88 x 37 x 37mm. 3. Weight: 139g.